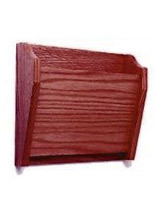 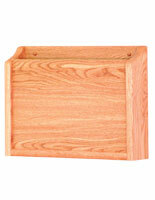 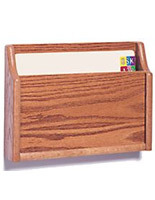 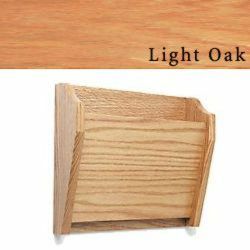 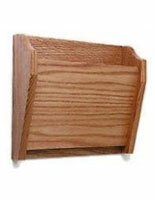 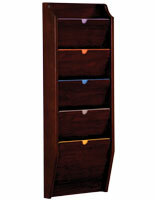 This wall file organizer for professional offices is laminated, with solid oak sides. 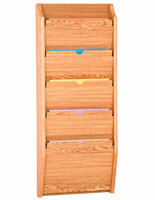 This hanging reading material dispenser is simple, durable, and beautiful! 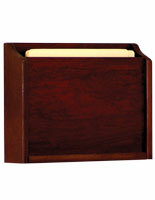 This wall file organizer that is a letter holder has one pocket for medical records or magazines. 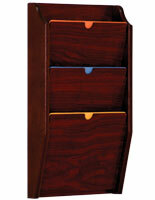 This file organizer, such as a hanging document rack, holds ¾” of publications or a stack of magazines.